I will use this post as a small tribute to my grandfather. He is a WWII Veteran, a paratrooper, and by God’s grace, a survivor of the Battle of the Bulge. Recently, he was able to travel back to Belgium where he fought for our freedom, representing the men of the 17th Airborne Division. I have been delighted to tears to see how he has been honored these last couple weeks. You can read all about it on my uncle’s blog who has documented this once-in-a-life-time opportunity. Here’s a ten-minute news clip that tells the story. 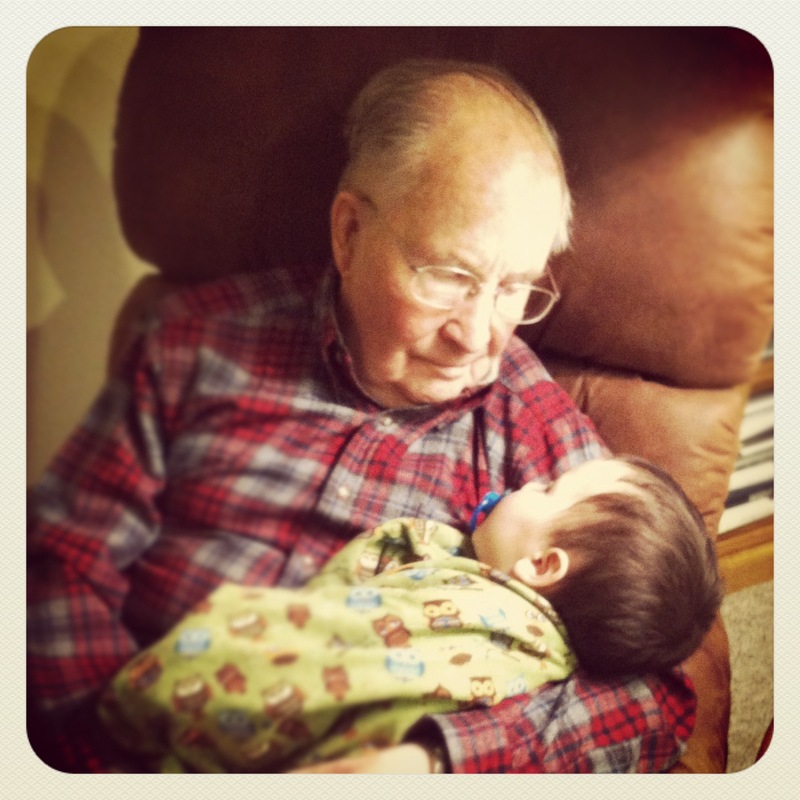 My Grandpa’s story challenges me to evaluate the legacy I am leaving for my children. And their children. And their children. The way I choose to live my life today will no doubt affect the people of my family for generations to come. Will they look back on my life and be blessed by the way I raised their grandpa or grandma? Am I living a life worth emulating 3 generations from now? Am I creating an honorable legacy to pass on to my great-grandchildren? I think I speak for all of us Lagoon’s when I say I am privileged to be a part of Melvin Lagoon’s family. His service in fighting for America’s freedom, and his dedication to be a good husband and father has enriched my life. And I’m so grateful.